This week we’re taking a trip up the road to our Greensboro branch to introduce you to one of our incredibly talented customer service representatives. 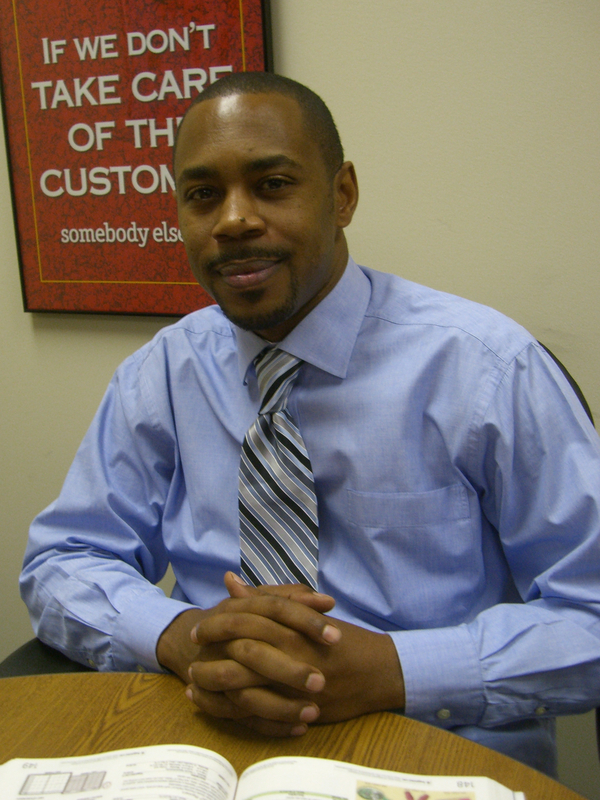 Anthony Martin has only been with FSI for two years but has quickly become part of the FSI family. He says he considers the great relationship he has with his coworkers to be the best part of his job. These same people can also be a source of some serious entertainment. When I asked Anthony if he has any particularly funny memories from working here, he responded, “Can I just say Rhonda Fowler is my funny memory.” If you’ve ever met Rhonda, you know that’s a very legitimate answer. Anthony has two sons, 13 year old Styles, and Dallas, who is 11. In addition to his job at FSI, Anthony is a full time shuttle service for his boys to and from soccer, basketball and volleyball. “When I do get free time, I like to come home to Charlotte and play tennis and golf. I’m decent at tennis, not so much at golf.” He also writes a little poetry from time to time. Previous Post: Tis the Season…for Office Supplies!